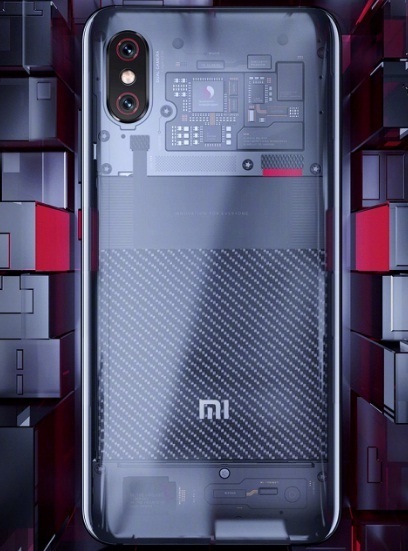 Xiaomi has recently launched Mi8 smartphones with top-notch design and the brand has also introduced Mi8 Explorer edition smartphone later. We have already published herewith Mi8 phones detail and if you are interested to know more about Xiaomi smartphones then you can check the link given. Regarding Mi8 Explorer edition, the phone started to sale in China recently and it has incredible features for sure. As brand says, Mi8 Explorer edition device has the following highlighted features. The gadget also comes with encased in a beautiful body with transparent back. There was some rumors on this like fake device etc. and the issue is solved seems. However, we will update here soon about the key features, technical specification and prices of Mi8 Explorer edition phone. Stay tuned. Tips: You can buy Mi8 Explorer Edition phone for a change and looks pretty. Oppo recently launched Find X and after Oppo F7 high-end features smartphones. The brand has announced that they are going to launch Oppo F9 Pro and F9 smartphones any time soon. 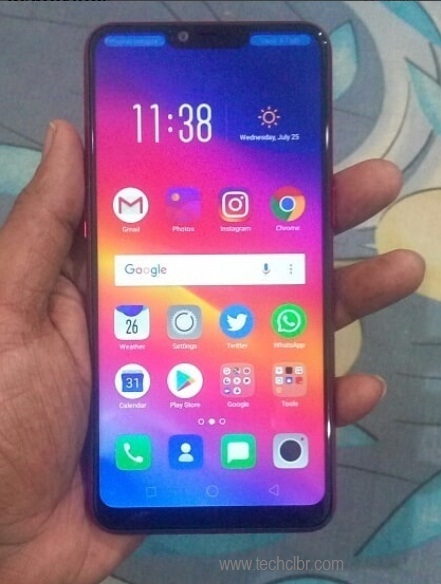 You can get Oppo F9 and F9 Pro phones leaked images, speculation and rumor news around. Though there are few official confirmed info about them. Hopefully, Oppo F9 and F9 Pro smartphones might come with like Essential phone's notch design. The leaked photo of the Oppo F9 and F9 Pro device also shows accordingly. The brand indicate us that Oppo is about to bring these gadgets with as many features including Waterproof or Waterdrop screen. Also, Oppo F9 Pro mobile phone may come with 6.3 inches display along with MediaTek Helio P60 processor to power and play. The narrow notch smartphone of Oppo might come with specialized AI camera as well. 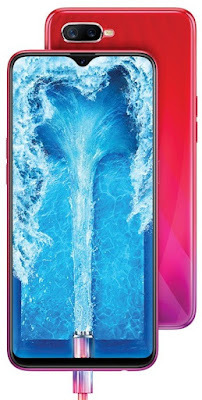 If you are looking for Oppo F9 and F9 Pro smartphone key features, technical specification, launch date, release date and price etc. leaving aside review and comparison at the moment then we would furnish them very soon. Tips: You can buy upcoming Oppo F9 and F9 Pro smartphones for incredible features. Google may launch the latest Pixel smartphone for 2018 any time soon. In general, most of them are expecting these as Pixel 3 and Pixel 3 XL smartphones and those devices may come to hand any time soon. 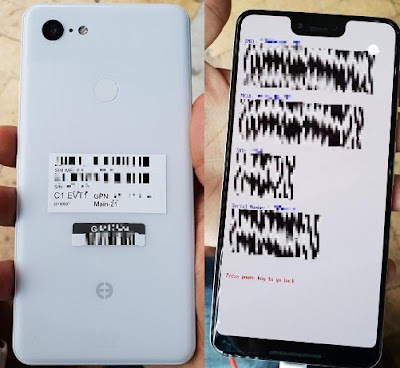 The leaked images of Pixel 3 XL are available online and you may see them over here as well. Google last year launched the Pixel 2 and Pixel 2 XL smartphones. These two phones got huge success in the market due to its overall features. Likewise, most of the Google Pixel fans might expect the same from Google on Pixel 3 and Pixel 3 XL smartphones. 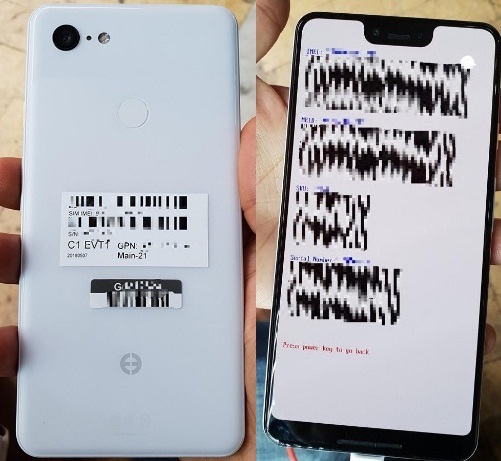 However, as per the leaked images, the Pixel 3 XL device may come with top-notch design and single rear camera with a white panel. There are unconfirmed news, rumors and speculation also available about these two phones. Let us see how we get these gadgets info further to share with you. Stay tuned, we will update Google's Pixel 3 and Pixel 3 XL smartphones key features, technical specification, price, launch date, release date, review and comparison etc. once they are officially launched. 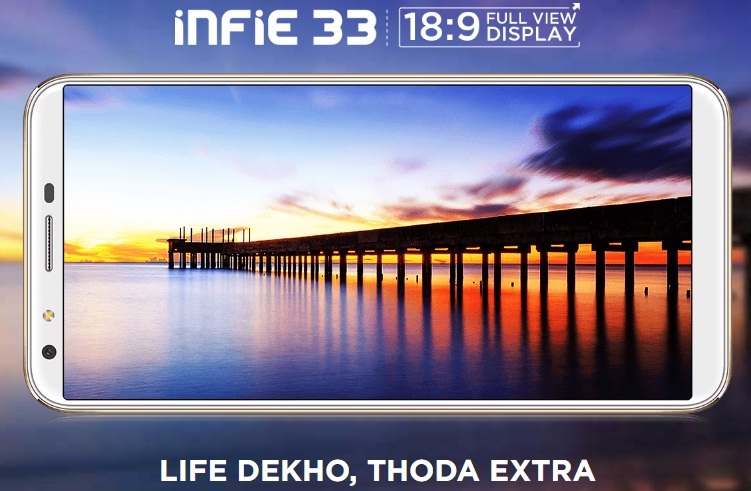 Intex has launched Infie 33 and Infie 3 smartphones recently. 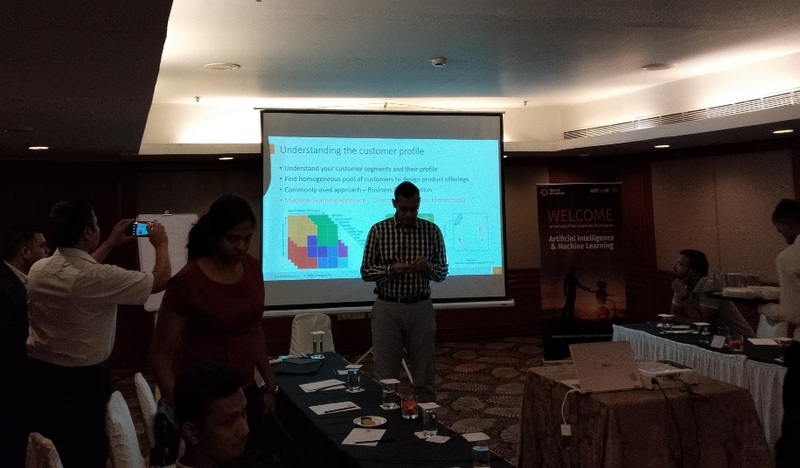 Both the phone comes with the price tag of INR 5k with reasonable features. The budget smartphone is near you. If you are looking for Infie 33 smartphone key features, technical specification, price and review detail etc. then you would find them over here. 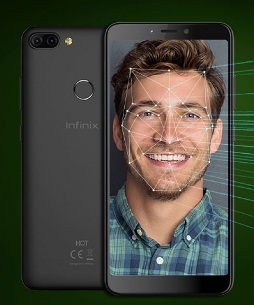 The cheap and best Fullview smartphone at the moment with Spreadtrum processor and 3000mAh battery introduced by Intex brand. The phone is powered by Spreadtrum 4x Cortex A7 (Core + Bit), Quad core+ 32bit processor and coupled with 1GB of LPDDR3 RAM. The internal storage of the device is of 8GB which can be further expandable up to 128GB via microSD card. Intex Infie 33 runs with the Android 7.0 Nougat operating system and it has GPU of MALI T820 as well. The Fullview display comes with 18:9 aspect ratio and 5.34 inches in size. The mobile phone comes with 5 megapixel camera lens either side with the resolution of 960x480. You can check this gadget's specs and price detail below. This could be one of the best selling smartphone due to lower price and better features. Tips: If you are searching for cheap and best Fullview display smartphone then this is for you. We recently got the detail of Oppo A3s smartphone launches from Oppo brand and the phone is available right now in the offline and online market. Oppo has released few latest smartphones recently including the subject phone, FindX and Oppo A5 etc. You can check Oppo A3s phone price and features detail herewith and we are glad to share with you its first impression herein. The cheap and best top-notch smartphone is nowhere at the moment except Oppo A3s that comes with the price tag of INR 10990 for 2GB of RAM variant and little higher for 3GB RAM phone. The other competitors also has released the top-notch smartphones with little extra prices compare to this one, like Vivo Y83, Vivo Y81, Honor 10, Redmi 6 Pro and Honor 9N etc. We will hands-on review Oppo A3s and share it over here soon. By the way, after using this beautiful red color A3s for few days, we can say that it has incredible features in this range. The performance of the phone on casual things are superb, gameplay also nice, camera is like a high-end features phone and the battery backup is astonishing definitely. This is one of the cheap and best smartphones and best selling smartphone as well. There are many pros which we would let you know soon. Stay tuned for Oppo A3s review and comparison etc. Tips: We suggest you to have a look handy and grab it. You may get the best deal around as well. 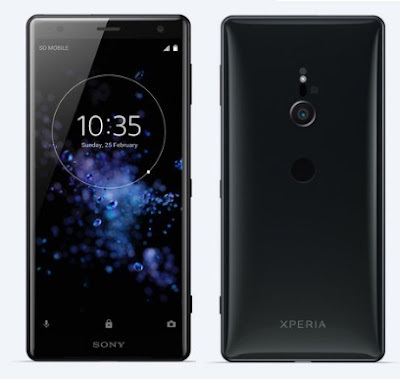 Sony has launched Xperia XZ2 smartphone with SD 845 processor and other latest features. The brand has earlier released Xperia XA2 Ultra and Xperia XZ1 smartphones as well. Sony has released Xperia XZ2 device with four colors viz. Liquid Black, Liquid Silver, Deep Green and Ash Pink. The phone comes with Water resistant (IP65/68)4, super slow motion features and Corning Gorilla Glass 5 as well. If you are looking for Sony Xperia XZ2 key features, technical specifications, price, review and other detail then you would find some of them over here. The phone is powered by Qualcomm Snapdragon 845 Mobile Platform3 processor and paired with 4GB of RAM. The Sony Xperia XZ2 device also comes with 64GB of UFS internal storage and expandable memory up to 400GB through microSD card. The mobile phone runs with the Android O2 operating system and it comes the gadget display size is of 5.7 inches with 18:9 aspect ratio and Corning Gorilla Glass5. The camera of the phone is of 19 megapixel motion eye primary one and 5 megapixel is of front shooter. This is one of the most features packed smartphones at the moment and Sony Xperia XZ2 joined in the SD845 processor family. You may find its full specifications, and price detail below. We may review it anytime soon. Stay tuned. Tips: The reputed brand has released quality smartphone with little higher price compare to similar features phone available around. You may check this gadget to decide. This is one more different and latest drone that comes with extra-ordinary features compare to basic model. Though there are many brands for producing types of drones and this brand gives racing drone with camera in a competitive price. The Original Kingkong FP racing drone has potential features including racing, mini in size, attractive model and Kingkong named. Here you go for this gadget features and specs detail. The subject device comes with 800 TVL 150° camera and powered by 1103-7800KV motor with 6-10 minutes flying time. This could catch enough skyview, photos and videos as needed for your requirement. You can check its specs and price detail below. Tips: This is camera drone and has potential features. HP has earlier released Omen series laptops and the latest one is of 15 inches devices that comes with three models viz. 15-DC0082TX, 15-DC0107TX and 15-DC0085TX. Two of them are with FHD 144Hz and one is of UHD 60Hz laptops. We will try to furnish entire gadgets detail later but one right now. The laptop is powered by 8th generation Intel Core processor and other features. You may find HP Omen 15 inches laptop key features, technical specification and price detail followed by its brief and review. The laptop is powered by 8th generation Intel Core along with up to 32GB of RAM (optional variants) since its requirement may also differs for each gamers. The gadget runs with Windows 10 operating system and option of NVIDIA G-Sync graphic. The device has potential features including press forward into competition with a keyboard designed for competitive gameplay plus IoT usage. The laptop offers feast for your sight from technology innovation. You can bring the competition even closer with a stunning display, fast refresh rates, and fluid visuals. We would cover more detail about the laptop, later. You may right now check its specifications and price detail below. 26-KEY rollover and Anti-Ghosting: Yes, Keystroke detects even when execute multiple commands. HP Omen 15 laptop price: Starts from INR 74290/=* (approx). Tips: If you are a game lover then this is most suitable laptop for you. The gameplay result would be awesome from the device. Essential brand has released 360 Camera and it is the world's smallest 4k 360° camera. Looks like innovation gadget? Read it for more detail. The innovation device captures 3D spatial audio using four built-in microphones. If you wanted to know more detail about this cam then find its detail. The camera is for better selfies and the best capture with the full perspective. 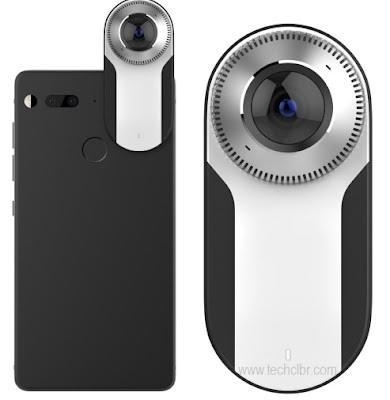 Essential 360 Camera specification, features and price detail is given below. Tips: This camera would suit for Essential PH1 smartphone. There are many brand drones available around and one of the brand in this race is, JJRC. 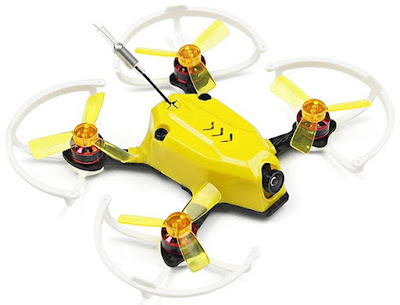 It has released H20 Mini RC Drone that comes with 25 meter flying distance control. The drone would help to learn on how to use it effectively. The latest Quadcopter seems released without camera thus it would help for the beginner to come open in the space. If you are searching for H20 Mini RC Drone key features, technical specification, price other than hands-on review or comparison then find them over here. The mini drone is powered by 2.4GHz frequency and of 6 Axis Gyro. 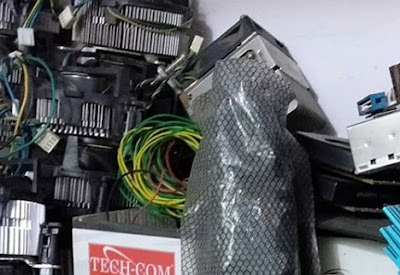 The gadget comes with plastic material and electronic component combined. The flying time of the JJRC H20 Mini RC drone is of 5 minutes and can fly up to 25 meter distance. This could one of the cheap and best drones available. 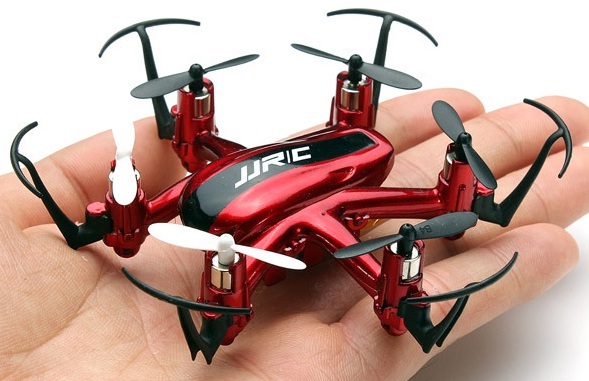 You may find JJRC H20 Mini RC Drone specs and price detail below. Stay tuned, we will update more drones, soon. Tips: One of the cheap and best drones for the beginner. 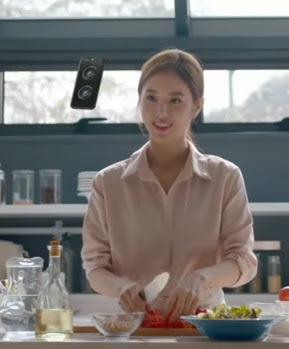 You may also get the camera drone from the same brand if you add little money. Apple may launch i9 MacBook Pro 2018 model anytime soon. The laptop would come with high-end specifications with most features packed gadget to your nearby center. As per the source available, Apple would release two models of MacBook Pro with Intel's i9 processor or i9 is at least for 15" device, the upcoming Mac are 13 inches and 15 inches laptops. If you are looking for i9 MacBook Pro features, specifications and price other than launch date, release date and review etc. then you would find them over here. The laptop will also come with eighth-generation Intel 6-core and quad-core processors. You would find these gadgets with up to 32GB of RAM / memory for running multiple pro apps at one go. As per source, i9 MacBook Pro 2018 model would come with stunning Retina display with True Tone technology, touchbar and two models of 13 and 15 inches. The device also would powered with up to 4.8GHz Turbo Boost and the battery will last up to 10 hours. Sounds good. Wait, T2 chip also be there. The Mac would also come with Thunderbolt 3 for most powerful and versatile port performance. You would also able to see macOS Mojave for Dark mode. This could be one of the best laptops for the year. The futuristic laptop will have more features and we would furnish all of them over here, soon. MacBook Pro 2018 price: It is early to mention approx price, however, we can assume its price same like last year. The price will be updated once Apple is officially announced it. Tips: The best laptop to come to tease its earlier version and competitors around. Xiaomi has launched mammoth Mi Max 3 smartphone with 6.9 inches display with Qualcomm's Snapdragon 636 processor. The phone is just launched in China and expected to arrive soon in few countries as well. Mi Max 3 smartphone comes with two variants, 4GB / 64GB and 6GB / 128GB memory capacity. The phone though recall its predecessor Mi Max 2 but the latest one comes with little an additional features when compare both of them specially Dual VoLTE features and display. 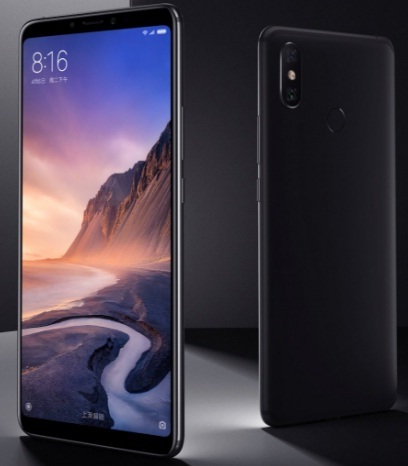 If you are interested to know more detail about Xiaomi Mi Max 3 smartphone features, technical specification, price and other detail then find them over here. The phone is powered by Qualcomm Snapdragon 636 SoC processor and paired with 4GB / 6GB of RAM variants. The device also comes with an Adreno 509 GPU. Mi Max 3 runs with the latest Android Oreo operating system beside brand's MIUI. The display of the Mi Max 3 phablet is of 6.9 inches Full-HD+ with 1080x2160 pixels resolution possessing 18:9 aspect ratio. Mi Max 3 launched with 64GB / 128GB of internal storage variants and has expandable option as well. The camera of the Mi Max 3 phone is of 12+12 megapixel primary camera and 5 megapixel front shooter / selfie. This could be one of the best selling smartphones and best smartphone with larger size as well. You can see the phone's specs and price detail below. Tips: If you are looking for smartphone like old Phablet style or phone with larger display then this is the best option to buy it.